Ate Antonia started working at tlc home in 1991. She later stayed at home with her three children for six years and came back in 2003. She says, her work at tlc home is not a job, but her ministry. She loves reading stories to the kids. Deborah has been part of the ministry since she was 14 years old. She started by assisting her mom at births and holding babies at tlc. She learned the importance of loving and serving others from her parents, Jeri and Dennis Gunderson. Deborah is a midwife and the Executive Director of tlc and enjoys the special moment when a child is birthed into their forever family. Ate Connie is our mission secretary. She has been working at the little children's home since 2002. Her favorite moments are when former tlc children come back to visit. 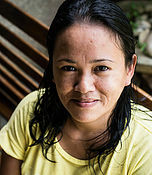 Ate Jasmin has been working as a social worker at the little children's home since 2014. She writes case studies, conducts home visits, and works together with the government to make sure all children have a family. 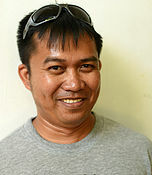 Kuya Jorge is our mission driver. He makes sure our children get to their visa and medical appointments safely. He is a father of three. 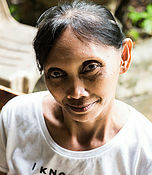 Ate Leny has been working at the little children's home since 1993. She has many great memories with the children, but is most happy when the children meet their forever family. Leny is our home manager. 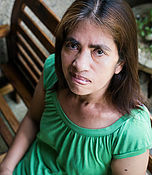 Ate Marisa's voice often fills the children's home when she sings with the children. She also loves to play and go for a walk. She has been working at tlc since 2001, and is a mother of four. 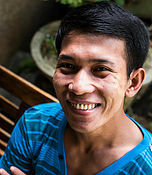 As an electrician and maintenance worker, Kuya Olemar makes sure everything is working well. He also uses his talents in carpentry to build new cabinets and tables at the little children's home. 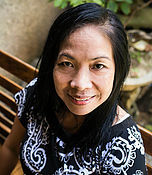 Ate Shirley has been working at the little children's home since 2013. She loves seeing the children grow and how they change. Knowing that she was able to impart a part of herself in them means a lot to her. 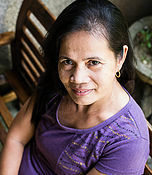 Ate Sonia is an adoptive mother herself, and recently became a grandmother when her daughter gave birth at Shiphrah. She used to be a Sunday school teacher before she started to work at tlc in 1994. 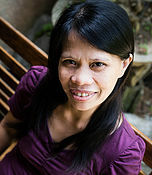 Ate Vicky has been working at the little children's home since 1999. She loves taking care of the children and often plays volleyball with them. Something she used to play in her barangay liga. Ate Vicky has two children. 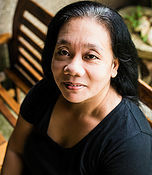 Ate Benita has been working at the little children's home since 1993. She's a mother of four and loves taking care of our babies. Her work is also a gift for her family. Darren came to the Philippines to serve God in any way he was asked to. This has taken many forms over the years. Holding babies, driving someone to the hospital, paying bills, and managing mission finances. 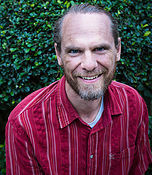 Darren's heart is to serve adoptive families in the time of their birth to their new child. He ensures that the financial needs of the mission are in order and cared for. 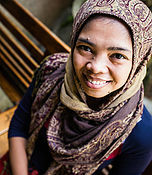 Ate Isabell is our mission photographer, lifebook maker, creative mind, and social media manager. She loves using her creative gifts to make sure the children and families have lasting memories of their time at tlc home. 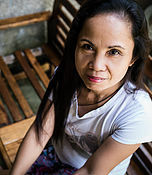 Ate Janet has been working at the little children's home since 2014. She loves taking care of the babies in the nursery. 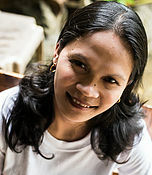 She has two children and is thankful for her work at tlc home as it helps provide for her own children. 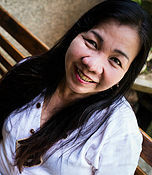 Ate Lenlen started working as a reliever at tlc home in 2002, before she joined full-time staff in 2003. 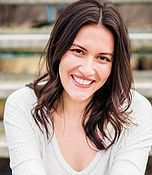 She has a heart for kids and loves storytelling, coloring, and singing. She's a mother of two. 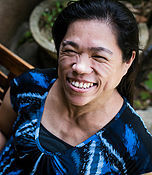 Ate Bing started working at the little children's home in 2001 as a caregiver. While she still cares for the children, she is also a great cook and makes sure the children eat healthy. Her favorite recipe is Adobo. Ate Bing has two children. Ate Marivic makes sure that our children always have clean clothes and diapers. She has been working at the little children's home since 2013. She says the supportive management of tlc has been a blessing to her family. 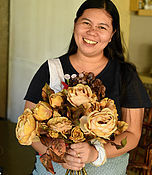 Ate Rosemarie studied to be a teacher before she started working at tlc in 1993. She has since used her gift of teaching with our kids. You will often find her reading, puzzling, or playing scrabble with the children. 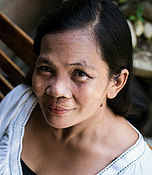 Ate Shirly has been working at the little children's home since 1997. She has many memories, but says it is always special when a former tlc child comes back to visit. 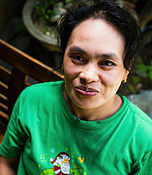 Ate Susan is a mother of five who has been working at the little children's home since 1992. She loves children and is happy to work at the little children's home. 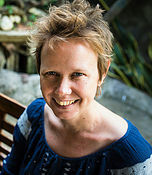 Annemarie is a missionary from the Netherlands who has been serving as our volunteer nurse since 2014. 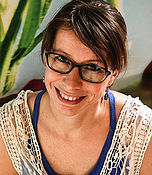 Annemarie is a mother of five and an adoptive mother herself.